Happy Anniversary Champagne Toast – Four Seasons Chicago! 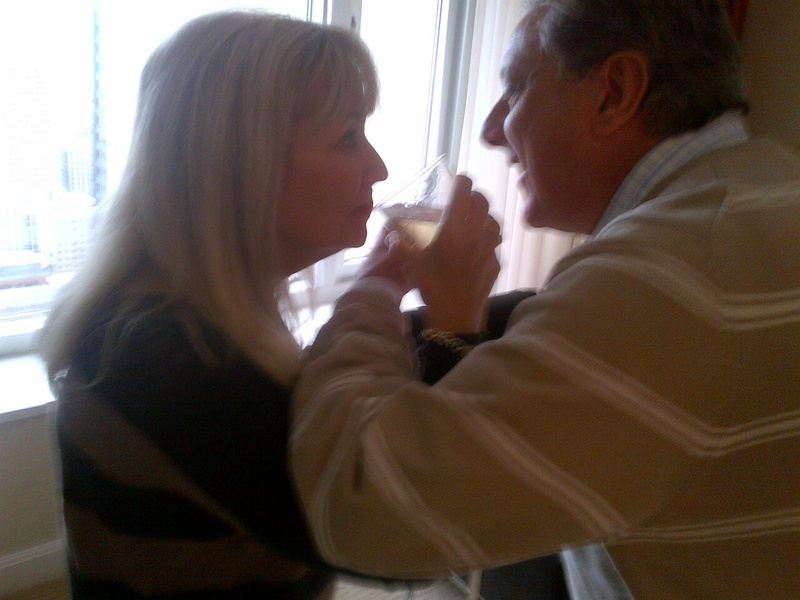 My husband and I have been married for 35 years. Over those years, we have celebrated many memorable occasions together with our family at The Four Seasons Hotel, Chicago. Birthdays, Mother’s Days, Christmas and even St.Patrick’s Day are some of many family holidays and events made more memorable by the wonderful staff at the The Four Seasons. 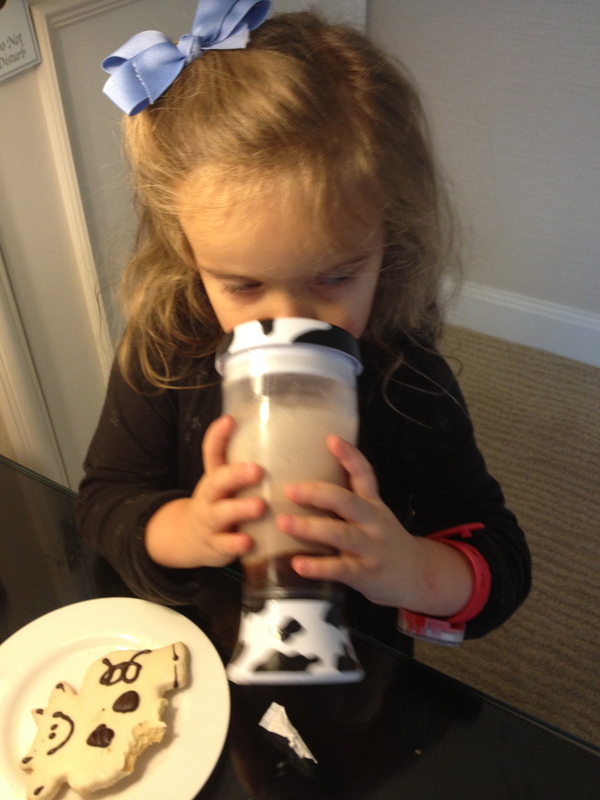 For our anniversary we agreed, it had to be something special and our 4 year old granddaughter needed to be with us. We also wanted a “stay-cation” in Chicago because we love to spend time enjoying the City that is so near and dear to us. 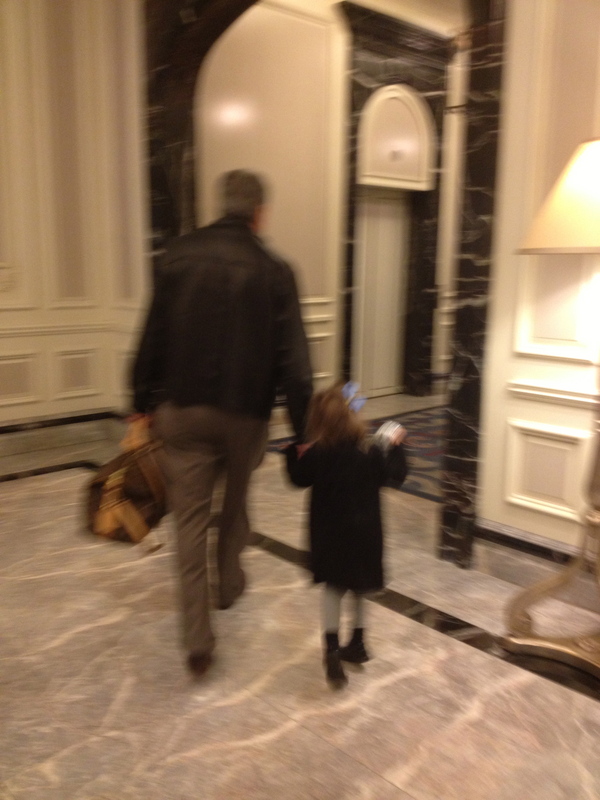 So it was natural for us to choose to stay at The Four Seasons …something for us and something for our granddaughter. “Welcome home!”, Jeff said as he greeted us on our arrival. 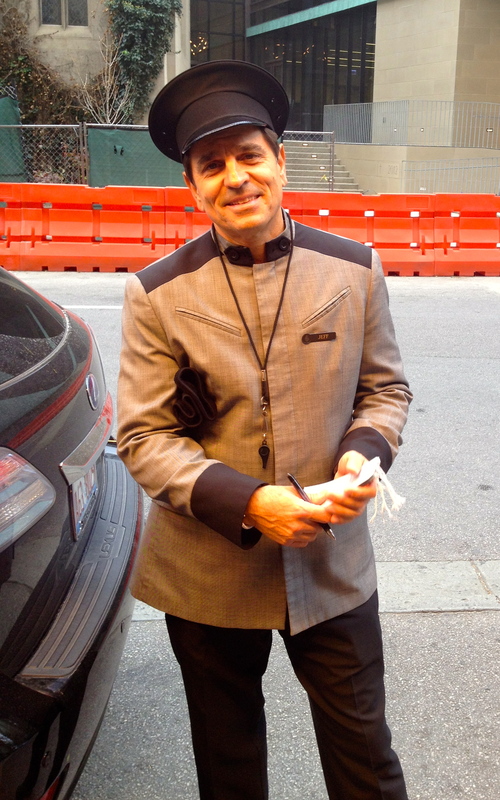 It was so perfect that Jeff would meet us at the door. We have been met by him many times over the years. Even when we come to Chicago for the day, we stop to say hi to Jeff and ask about his family. At check-in, we were greeted warmly and our granddaughter was treated to a small gift from the “toy chest” conveniently located at the front desk. 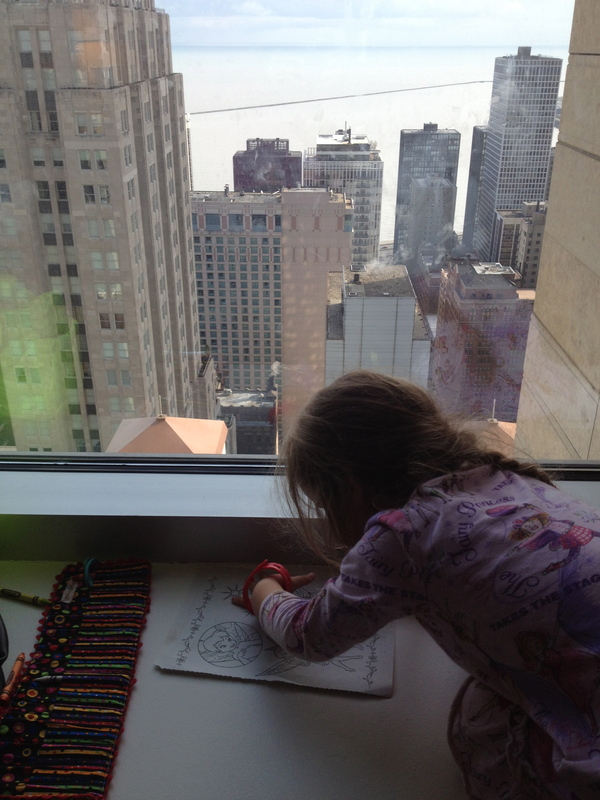 We then made our way to our room in the sky…with a beautiful view of Oak Street Beach and Lake Michigan. Truly, one of my favorite corners of the city. It is this view that is so spectacular when it is lit up at night and even more beautiful at sunrise! 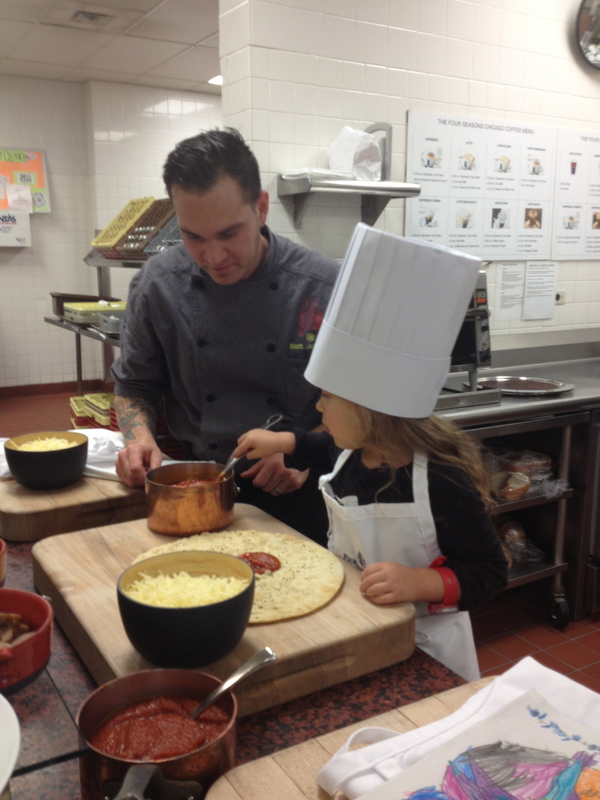 Thrilled is the word to describe our granddaughter when she met Chef Matt and the staff of the Four Seasons kitchen… donning apron and hat she went to work creating gourmet pizzas which were to be our appetizers at dinner later in the day. My husband and I were greeted with chocolate covered strawberries and champagne from the Hotel staff along with some beautiful flowers from friends! After our snacks, we headed out to the 900 Shops on Michigan Avenue. Conveniently, the hotel directly accesses one of the premier shopping areas in the country. Our first stop was Galt Toys…a favorite for unique children’s items…a definite “don’t miss” on my trips to Chicago. 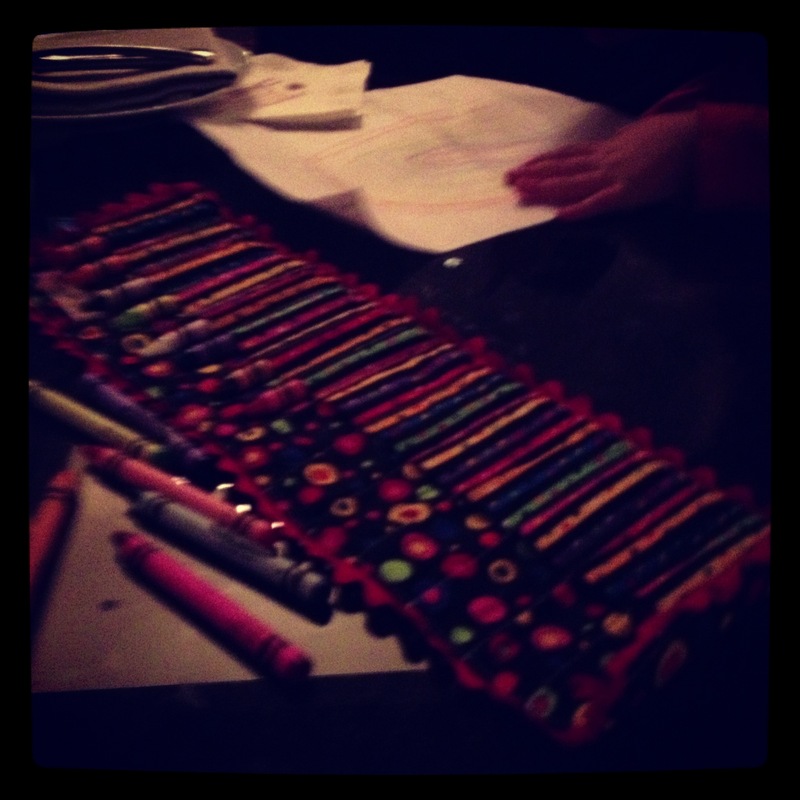 Then it was time for an early dinner at Allium. This was our first time dining there. 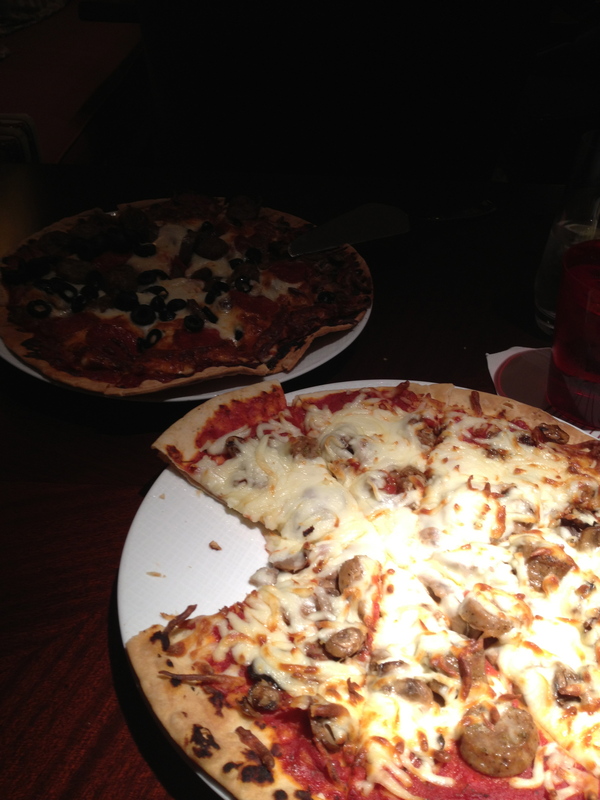 For appetizers we enjoyed our granddaughter’s pizza….they were delicious as was the rest of our dinner. The “Pappardelle & Chicken Thighs” was my entree choice, my husband feasted on the “Wisconsin Walleye”…just superb! 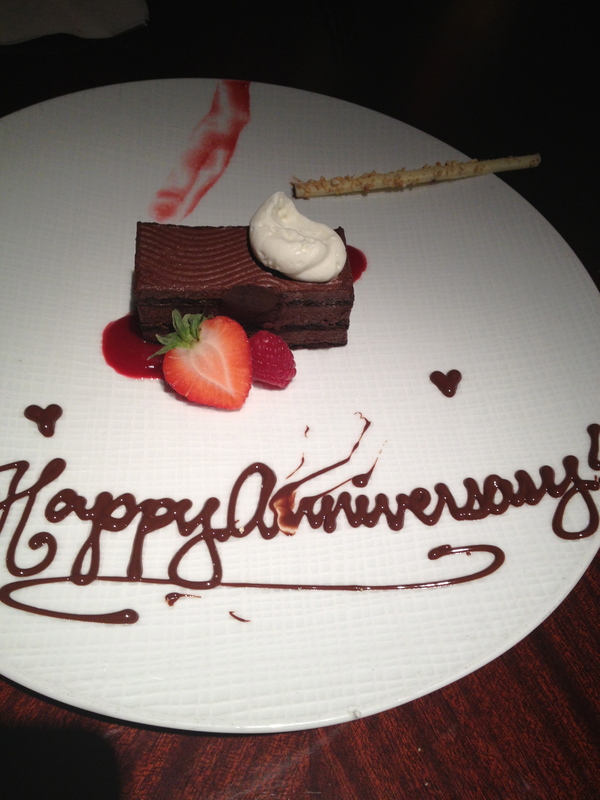 A surprise Anniversary dessert arrived to complete our delicious dining experience! 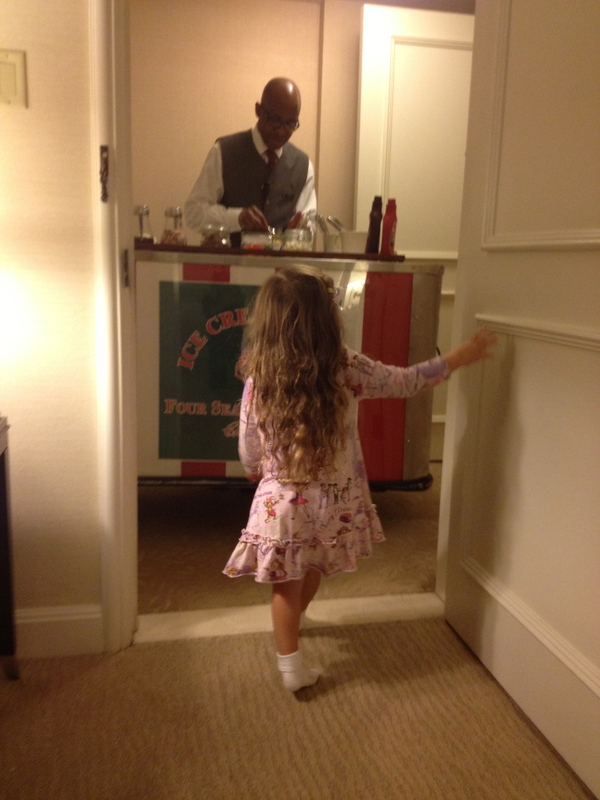 Then it was time to retire to our room ….where our granddaughter was surprised by a visit from the Ice Cream Man. After a bedtime sundae…it was good night to all of us! Early morning quiet time on the window seat! Sunday sunrise did not disappoint! 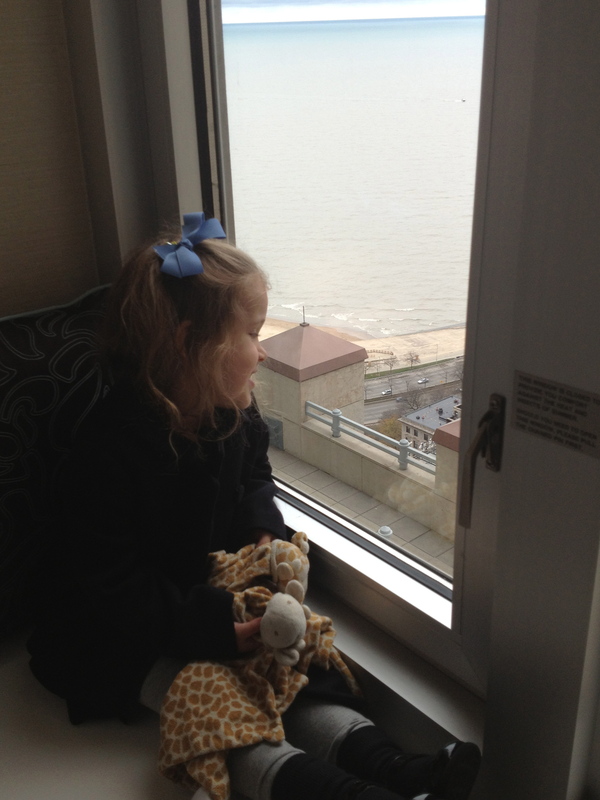 Our little one was enjoying a relaxing moment on the window seat while we enjoyed an early breakfast in our room. At quick trip to LEGO Water Tower Chicago! These days a trip to Chicago is never complete without a visit to LEGO in Water Tower Place! A quiet lunch before heading home! After Water Tower Place we sat down for a quiet lunch at Allium before leaving to return home. Since we were also running a little late…our server, noticing we were concerned, arranged for us to have a later check-out so we could relax a little bit longer and enjoy our meal. 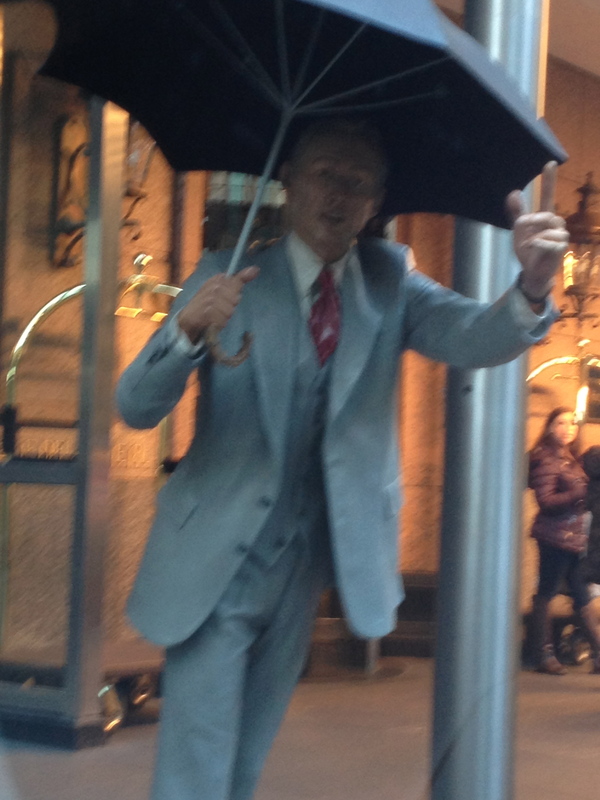 Good bye and Thank you…Four Seasons Chicago! 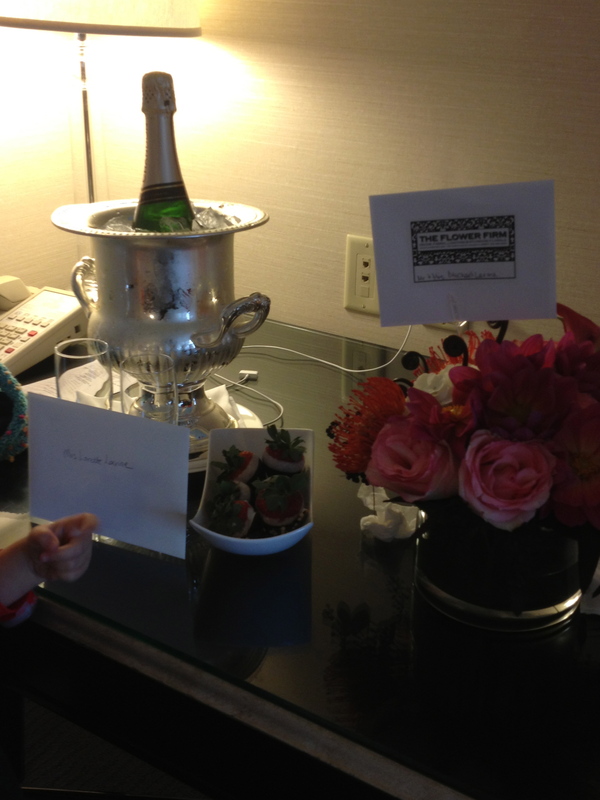 Our weekend was wonderful…The Four Seasons made our stay so memorable. We left with smiles and stories to tell … this being one of them! I was not compensated for this review. We were given a special rate on our accommodations. All opinions, as always, are my own.